Our winemaking is simple, and classic. We allow unique fruit from a special site to speak for itself. This gives rise to wines of distinction that are long-lived. The wines speak to the snow in the winter, the fog in the valley below, the passing of deer and turkeys, and the perfect light in the morning. Cold soaking, classic yeast, careful fermentation, and barrel aging separate lots allows a seemingly endless array of aromas and flavors to be perfectly integrated into a single glass. Our winemaking philosophy goes hand in glove with our farming. Attention to detail, careful fruit sorting on the vine, and simple classic technique allow our fruit its full expression in the glass. We usually harvest between two and three tons of fruit per acre, although some years we have had a bit more and in 2011 we had considerably less. Instead of starting with a goal, we allow the unfolding season to determine crop load, removing fruit as necessary to ensure optimum flavor concentration. Harvest begins before the sun breaks the horizon. This allows for the harvesters to leave or discard any fruit that has been missed during sorting on the vine while maintaining a cool fruit temperature. After a cold soak, fermentation is started. If we have a large vintage, we may vary fermentation conditions to broaden the flavor profile of the wine. 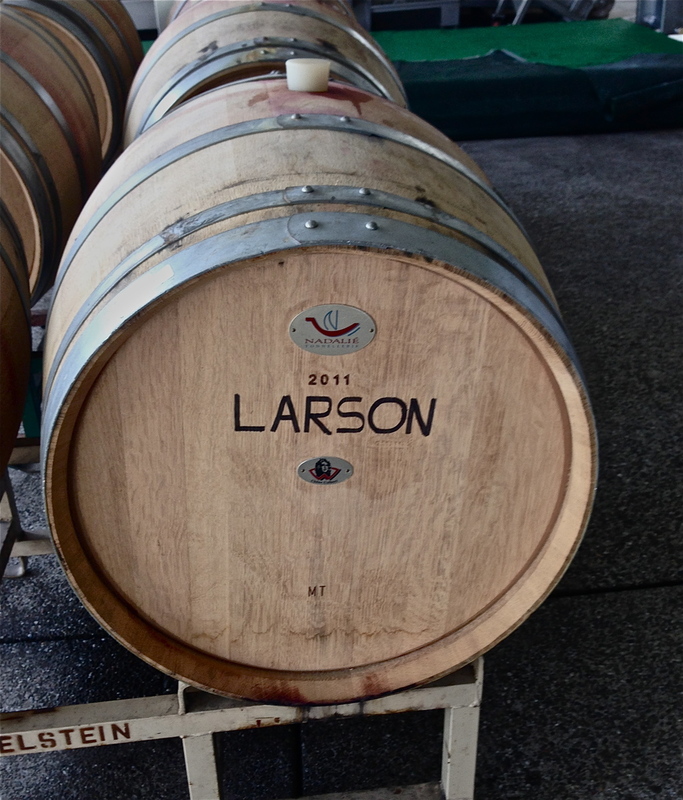 Once fermentation is complete, the wine is aged in new and neutral oak barrels for 24 months. We use a variable (40-60%) portion of new oak, using barrels made from wood sourced from classic French forests. If we have a large vintage, we may add a small amount of Hungarian oak, sourced from forests that were used for all of the great Bordeaux wines prior to WWII. During barrel aging, the wine is clarified by racking. Racking involves removing the wine from the barrels, discarding the sediment, washing the barrels, and replacing the wine. This process is time consuming and results in the loss of some volume of wine which cannot be recovered from the sediment and lees. This is a classic method of clarification that has been used for centuries. During this period the various wines we make every year are kept separate, allowing the development of their own unique character. After barrel aging, the unique wines are blended to make Angwin Estate Vineyards Cabernet Sauvignon. This wine represents the best possible blend of the various individual wines that we make each year. Our second label, "The Kissing Trees", contains wines from barrels with less aging potential but possibly more immediate appeal than the wines selected for our first label. The grapes for our second label come from the same vineyard and the oak treatment is accomplished using the same Nadalie Colbert new French Oak barrels.